Wayne State University, Detroit, MI, B.A. 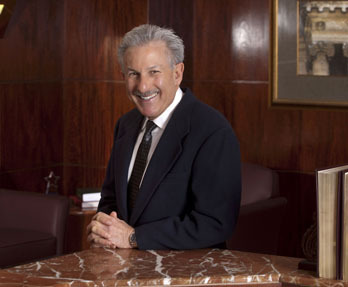 Jonathan M. Jaffa has 40 years of extensive general litigation and trial experience, including a former position as a senior trial attorney for the Continental Insurance Company. Jonathan’s practice focuses on personal injury defense, including malpractice actions, premises liability, product liability, construction accidents and motor vehicle claims. He represents insurance companies, business owners and a variety of health care providers, including physicians, home care businesses, occupational therapists, nurse practitioners, various extended care facilities and physical therapy agencies. Jonathan also serves as a case evaluator, facilitator and arbitrator. Jonathan serves as a student mentor at Michigan State University School of Law and a judge in its Moot Court competitions. He was awarded the ranking of Michigan “Super Lawyer” by Thomson Reuters, and also was awarded and maintains the Martindale AV rating which is the highest rating available. In 2013, he was selected as a “Top Rated Lawyer in Healthcare Law” by American Lawyer Media and Martindale-Hubbell.